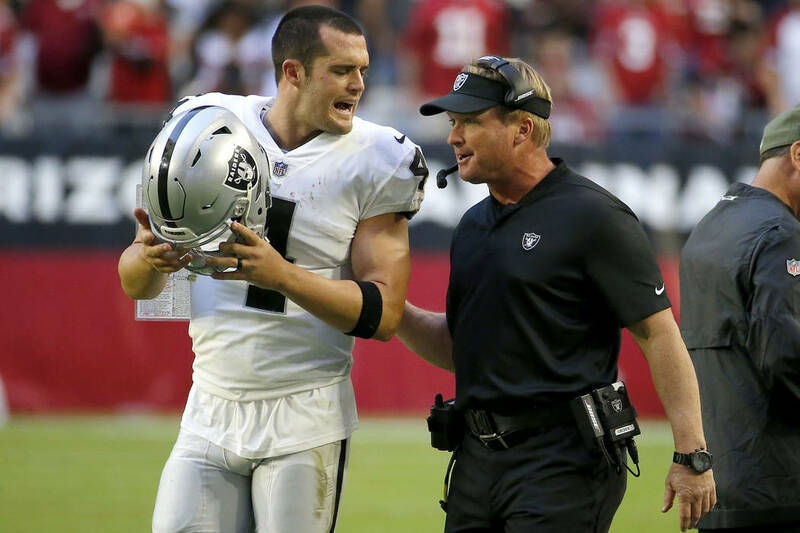 Raiders quarterback Derek Carr and coach Jon Gruden have made clear strides in 2018. A critical point was a conversation that occurred sometime midseason. CINCINNATI — Derek Carr used a word this month when characterizing his comfort in Raiders coach Jon Gruden’s offense, specifically his ability to turn the finest details of Gruden’s playbook, practice-field and film-room sessions into seamless game-day application. It is a word, the quarterback knows, for which there can be little patience. Here’s another word pertaining to their first year together — progress. 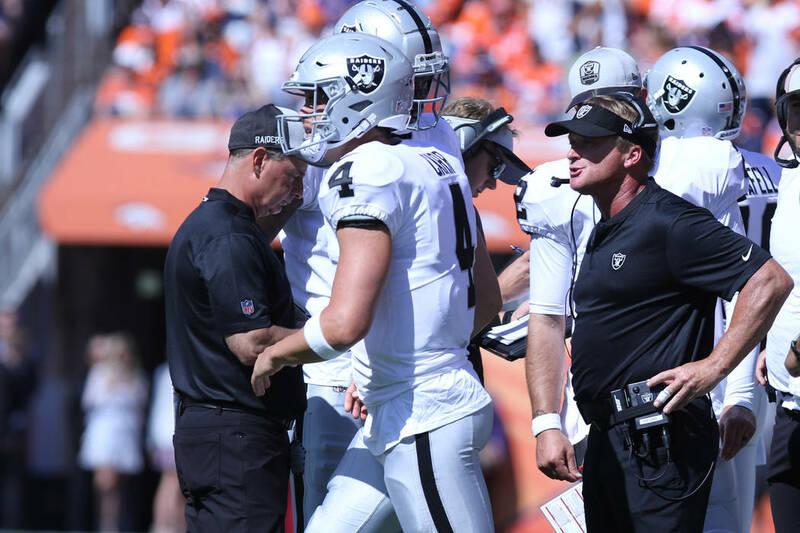 Carr and Gruden have made clear strides in 2018. A critical point was a conversation that occurred sometime midseason. 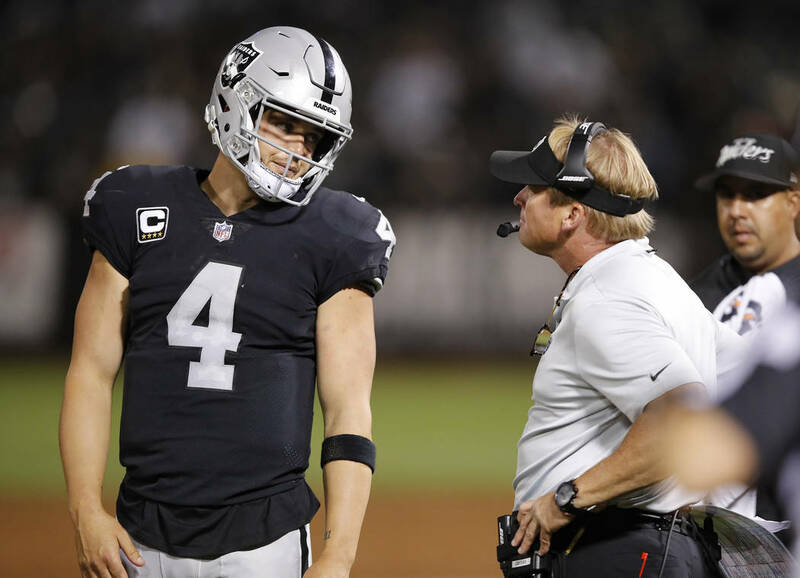 During it, Gruden expressed a desire to place less on his want-to-do-everything-right quarterback’s plate, catalyzing a growth that continues into Sunday’s game against the Cincinnati Bengals. The two enter the matchup with an unenviable situation at guard. Left guard Chaz Green, whom the team signed two weeks ago and whose last regular-season offensive snap was Nov. 12, 2017, is expected to start following injuries to Kelechi Osemele (toe) and Jon Feliciano (calf). Right guard Denzelle Good, signed last week, will start if Gabe Jackson (elbow) is forced to be inactive, thereby missing his first offensive snaps of the season. Not ideal versus All-Pro defensive tackle Geno Atkins. Gruden is comfortable with who is behind center. 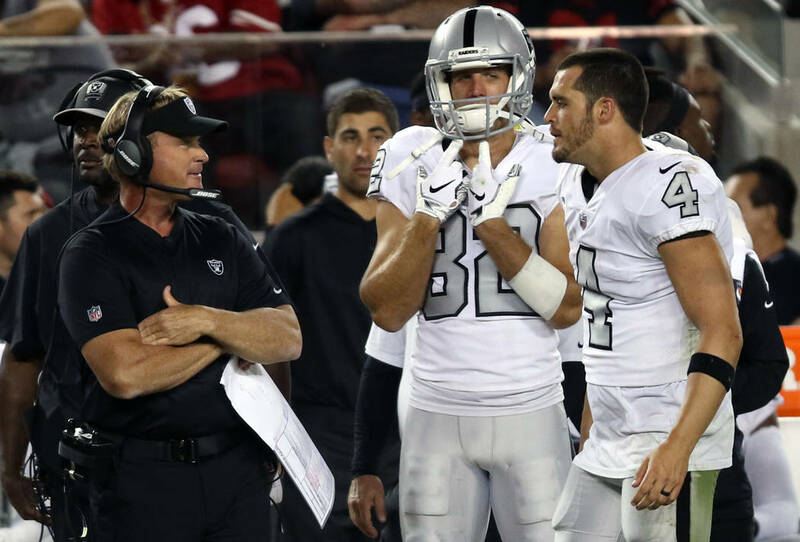 Carr threw an NFL-high eight interceptions during the season’s first five weeks. Since then, he has set a franchise record with eight consecutive games without an interception. 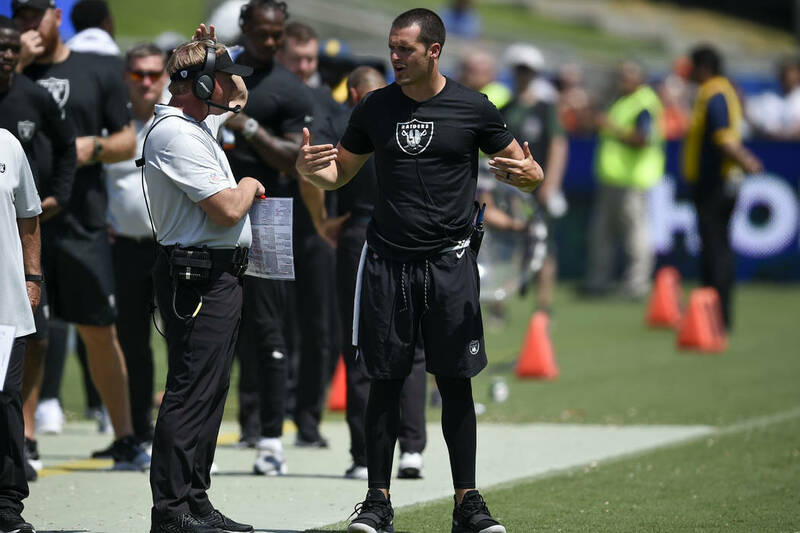 His last pick occurred more than 33 quarters ago when Carr pressed on a first-and-goal pass intended for tight end Derek Carrier against the Los Angeles Chargers. It was undercut for a turnover. 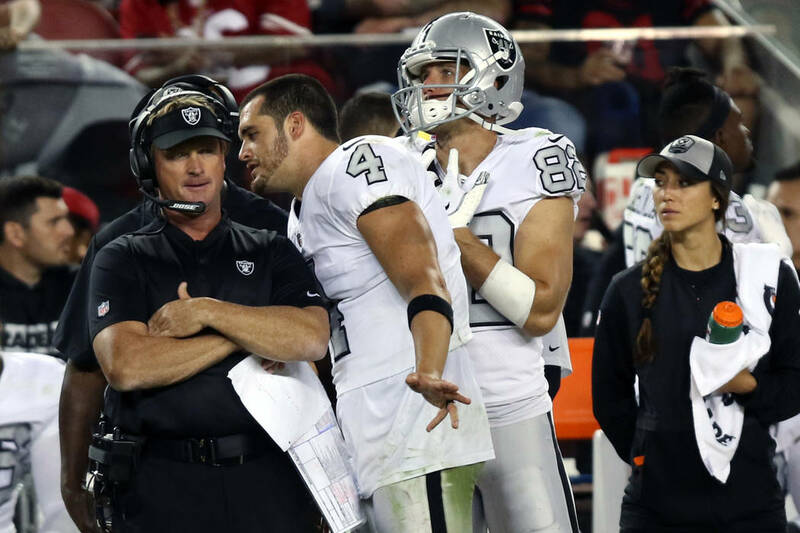 Carr said he couldn’t recall the exact moment for his conversation with Gruden. 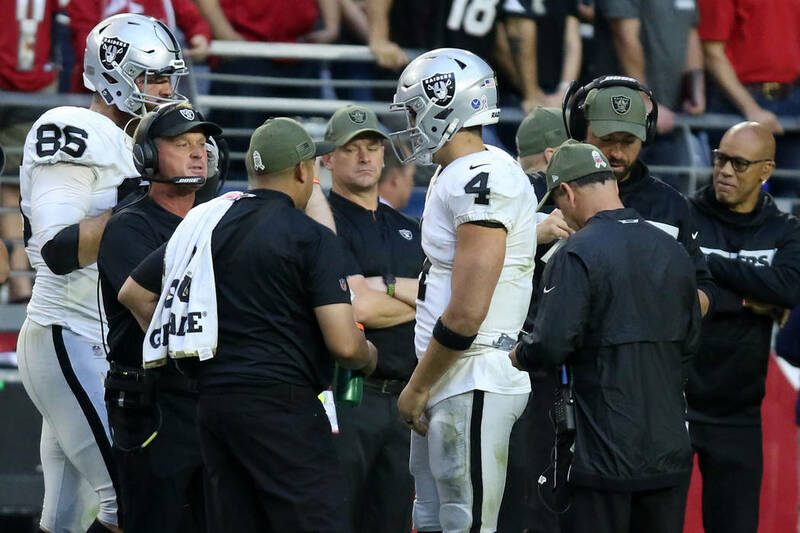 “It was around the early, middle of the season where he just kind of sat me down and said, ‘Let’s not take your right arm out of things; let’s just take it back to the simple things,’ ” Carr said. “We didn’t cut anything out, I just think that the way he was starting to word things was different. 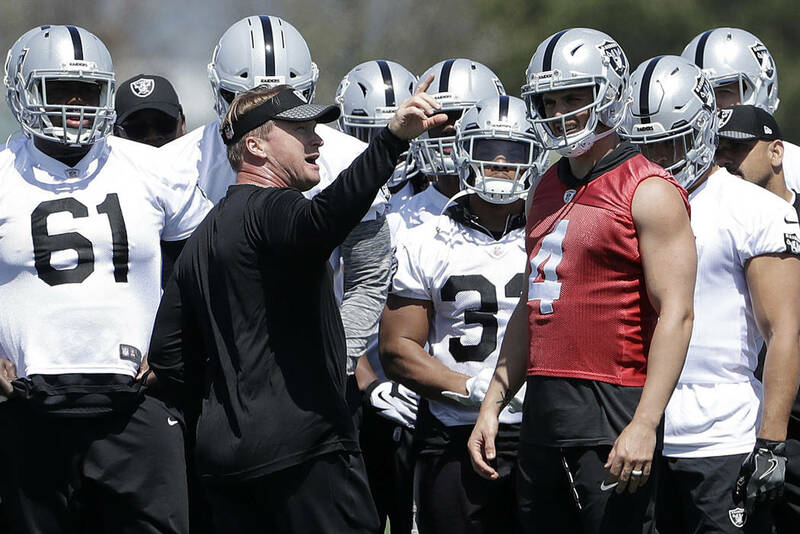 Gruden characterized Carr as someone who wants to meet his expectation and do it all “by the book.” It so happens the combination of Gruden’s offense and instruction manual on how to run it is the “War and Peace” of books. 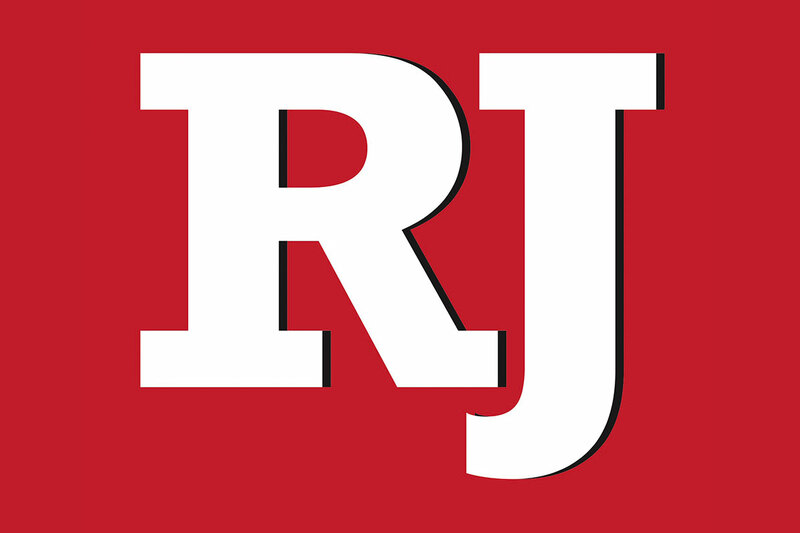 The coach initially demanded grasp of every page. Carr hasn’t had the luxury of stability during his NFL career. Among the examples, Gruden is his fourth play-caller in five years. 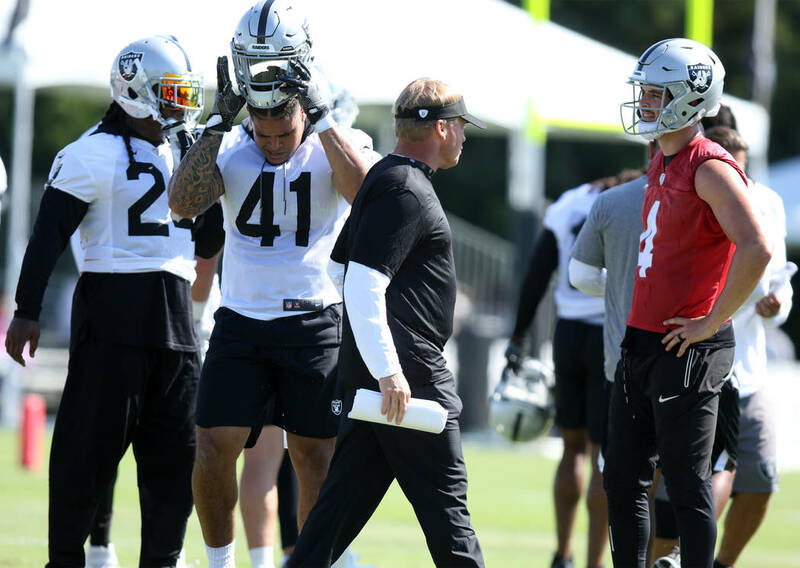 If the process of their relationship’s maturation already can yield results amid various shortcomings that have arose this season in protection and the receiver corps, there is reason for optimism about the direction the Raiders are headed. There is another word despite the franchise’s 3-10 record.